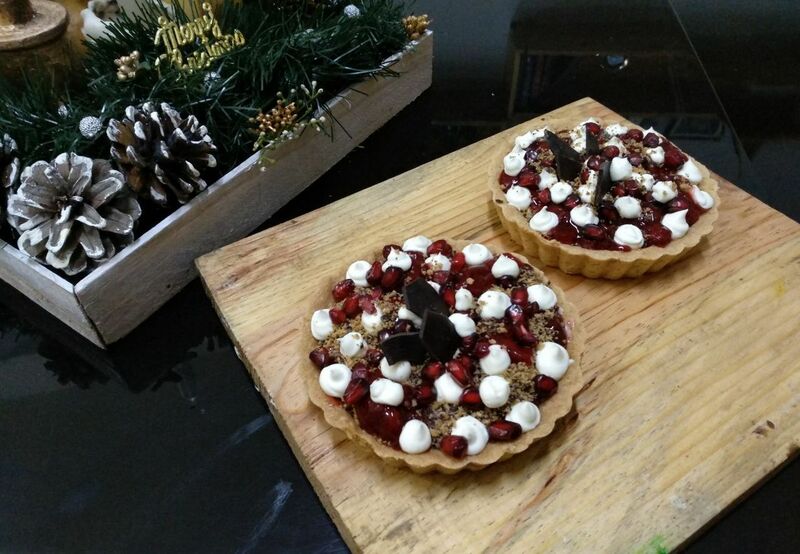 Celebrating the festive season isn’t half as fun without some delicious desserts. 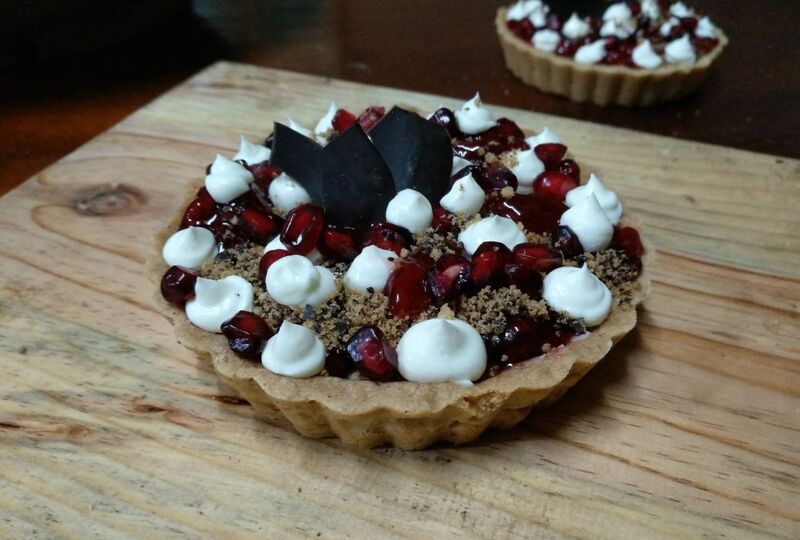 Ring in the New Year with this super-indulgent Chocolate Raspberry Tart. Dark chocolate, cream cheese, icing sugar, heavy cream, it doesn’t get any better than this! What better way to start off the new year than with a slice of this divine chocolate tart, right? 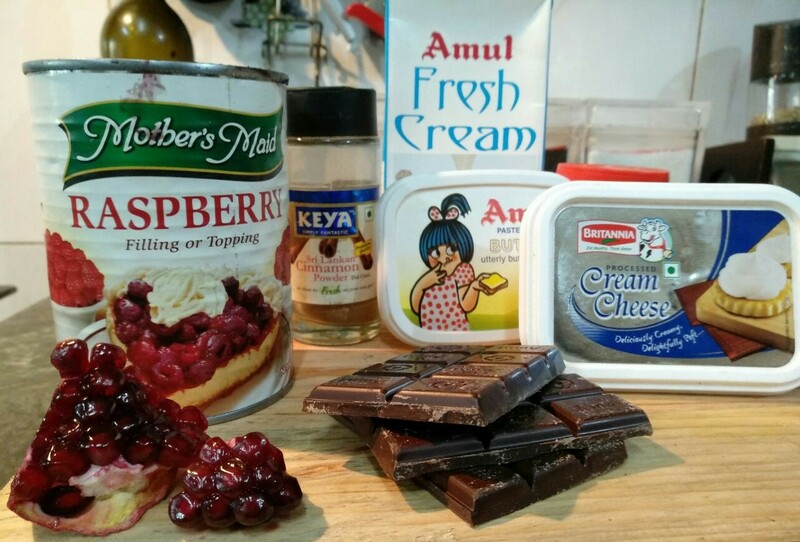 Today’s dessert recipe is contributed by our lovely friend, Kutshou Therie. Let’s get baking! Sift flour, cinnamon and baking powder together. Combine butter and powdered sugar in a large bowl and stir until evenly incorporated. Add the flour mixture and sprinkle ice cold water to make a soft dough. Roll the dough and place it over a 9-inch tart pan with a removable bottom or use two 6 inch tart pans. Press the dough evenly into the bottom and up the sides of the pan with your fingers . Cover the tart shell with plastic wrap and let it rest in the refrigerator for 30 minutes. While the dough is chilling preheat the a oven to 180°C . Once chilled, prick it all over with a fork and bake until golden brown, about 20 to 25 minutes. Remove from the oven and cool completely before removing from the pan. If you are left with some dough you can bake it and crush it and use it as topping. Beat 120ml cream, cream cheese and icing sugar until well combined and thick and set it aside. To make the chocolate ganache, pour remaining cream into a small saucepan and heat it just enough to melt the chocolate. Stir in the chocolate until it is smooth and creamy. Let it cool slightly and pour into the tart shell. Pour half of the cream cheese filling over the ganache layer. Next, scoop in the raspberry filling over it. Pour the remaining cream cheese filling into a piping bag and pipe it over the raspberry layer. 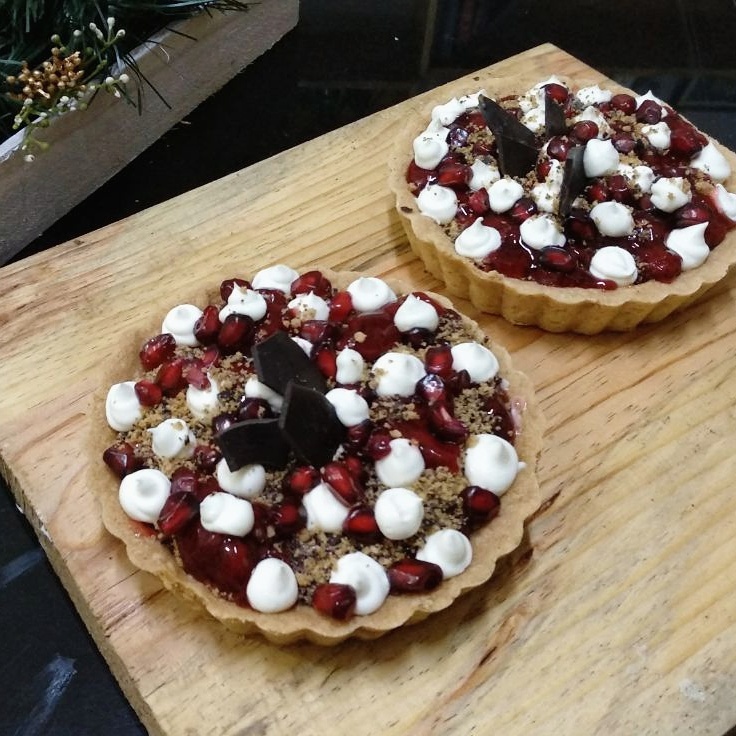 Top with raspberries or pomegranate kernels and decorate with chocolate shards. Content Manager, Roots & Leisure | Architecture Graduate, and lover of Books and Movies.